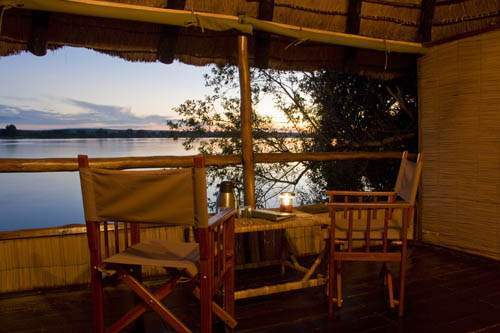 This lodge is situated along the banks of the Zambezi River, 25 km upstream of the Victoria Falls on the Zambian Side of Victoria Falls. 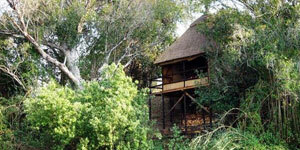 This location is perfect for bird watchers as there are around 450 species of birds. 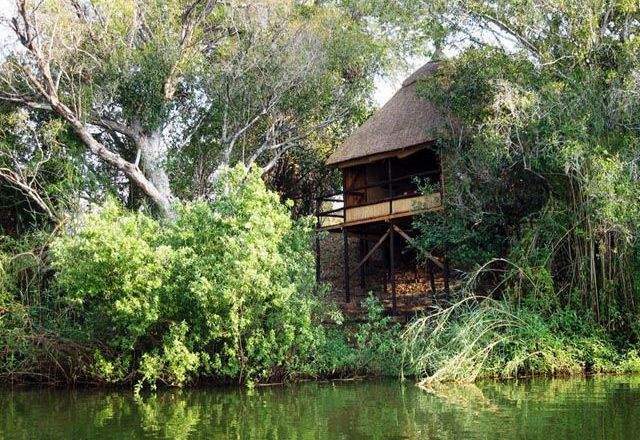 The lodge offers river cruises and sundowners which are great oppertunities to view the inhabitants such as the crocodiles and hippos. 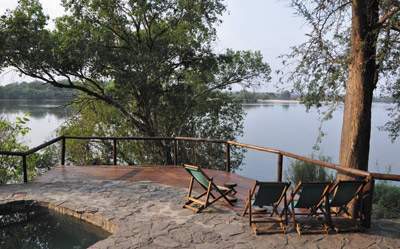 This lodge offers accommodation in chalets and family cottages which are elevated and are open at the front so you can take full advantage of the views of the Zambezi River. 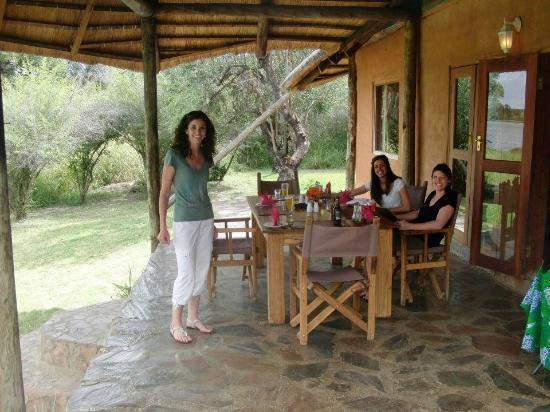 The camp only takes a maximum of 16 people so you will find that the service is personalised. The lodge is built in a local style so it blends in with the surroundings while providing comfort and privacy at the same time. 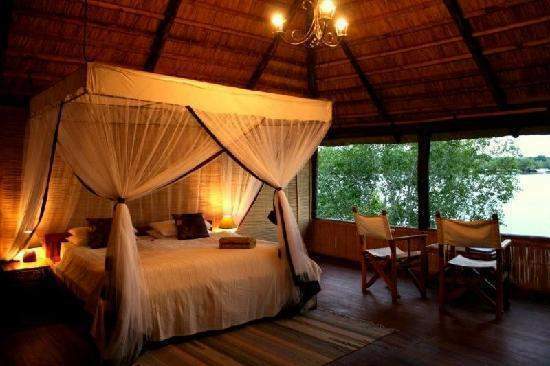 All the rooms at this lodge feature clear views of the Zambezi River as well as private bathrooms and mosquito protection. 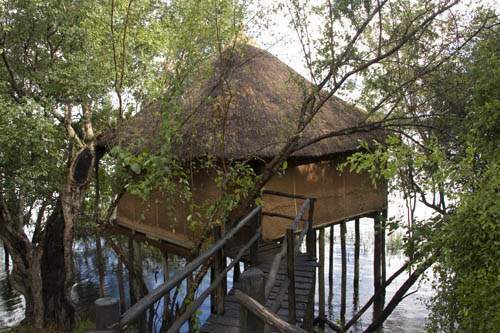 There are 5 stilted chalets that are open at the front and 1 family cottage which can sleep up to 6 people. Two of the 5 chalets are honeymoon suites. The family cottage contains 2 en-suite bedrooms and a third room with bunk beds, a lounge, a dinning area, plung pool, deck as well as a private chef and waiter. Airport taxes & levies are approximate and will be confirmed at time of booking.